Stainless Steel Infuser with Lid | Diameter 2.75″ x 3.25″ High | Recyclable Kraft Box Packaging. Our best-selling Tea Infuser is another helpful addition to the useful and modern appearance in our collection that features various Tea Accessories and Household & Table Top items. The cleverly-designed infuser with handle and fine laser-cut holes is suitable for all your tea leaves, fruit and herb infusion. 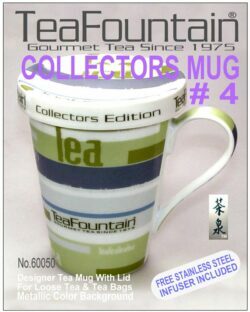 It is made of Restaurant-Grade 18/10 stainless steel to assure that no metal taste becomes part of your infusion. 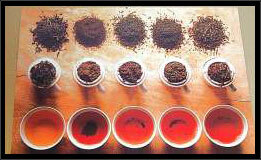 The lid serves, when flipped around after a proper infusion time of leaves, fruits and herbs, also as convenient drip tray. Protective black lid sleeve and black drip tray are made of food-save high-grade silicon. Pictured glass cup not included! 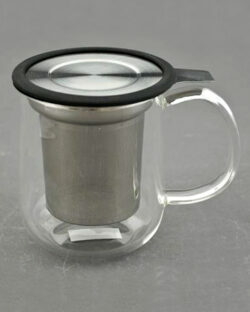 To order the Infuser with the complementary glass cup please follow this link. Explore the Look & Feel of BLOMUS and BODUM items on our site that will add a useful and stylish accent to your personal environment. 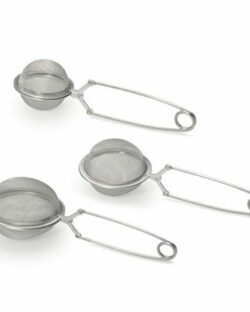 About our featured BLOMUS line of products: Our site shows mainly tea-related BLOMUS merchandise. 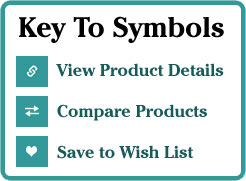 For your convenience special orders of other BLOMUS items are possible. Link directly to the BLOMUS website to find more interesting Designer Items and call us with your additional order (415-381-7100). 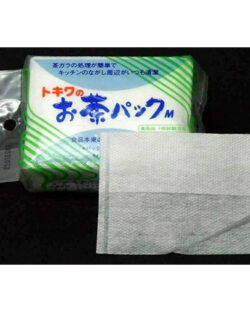 Please note that we ship merchandise released for the USA market within ca. 10 business days. Special orders from Germany might need up to 4 weeks to ship. 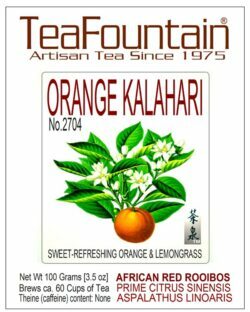 TeaFountain Stainless Steel Infuser with Lid | Diameter 2.75″ x 3.25″ High | Recyclable Kraft Box Packaging. Our best-selling Tea Infuser is another helpful addition to the useful and modern appearance in our collection that features various Tea Accessories and Household & Table Top items. The cleverly-designed infuser with handle and fine laser-cut holes is suitable for all your tea leaves, fruit and herb infusion. 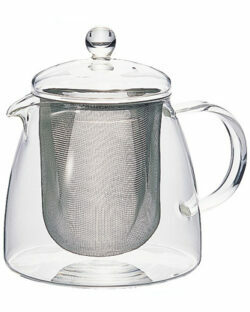 It is made of Restaurant-Grade 18/10 stainless steel to assure that no metal taste becomes part of your infusion. The lid serves, when flipped around after a proper infusion time of leaves, fruits and herbs, also as convenient drip tray. Protective black lid sleeve and black drip tray are made of food-save high-grade silicon. Pictured glass cup not included! 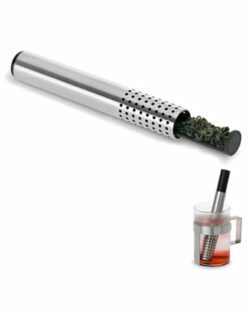 To order the Infuser with the complementary glass cup please follow this link.